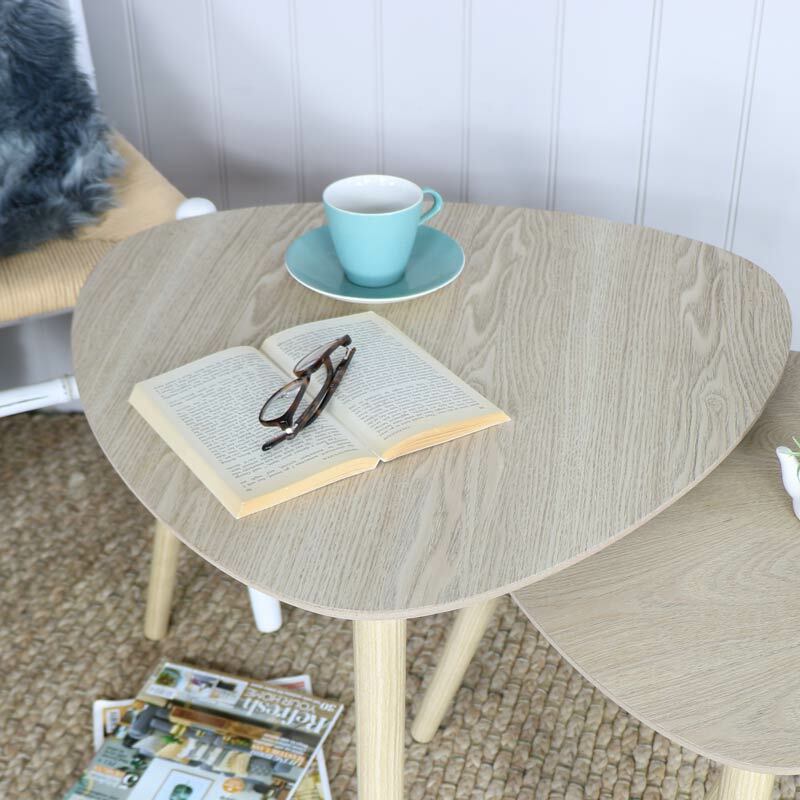 This set of nested tables are perfect for a modern, Scandi, loft living style interior. Set of 3 triangular shape tables in a natural wood finish. Great for use as side or end tables and can be used together or individually throughout the home. The 2 smaller tables nestle comfortably inside the larger table making these a great space saver. Each of the tables will sit comfortably at the side of a table or sofa, ideal for setting down a cup of tea or coffee. 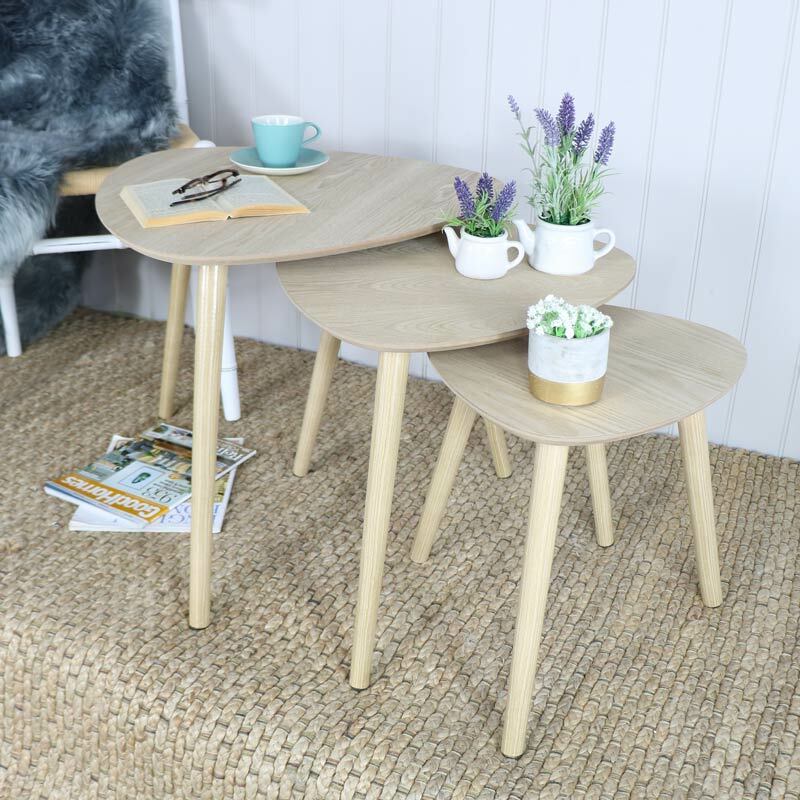 This set of nested tables are perfect for a modern, Scandi, loft living style interior. Set of 3 triangular shape tables in a natural wood finish. Great for use as side or end tables and can be used together or individually throughout the home. The 2 smaller tables nestle comfortably inside the larger table making these a great space saver. Each of the tables will sit comfortably at the side of a table or sofa, ideal for setting down a cup of tea or coffee. 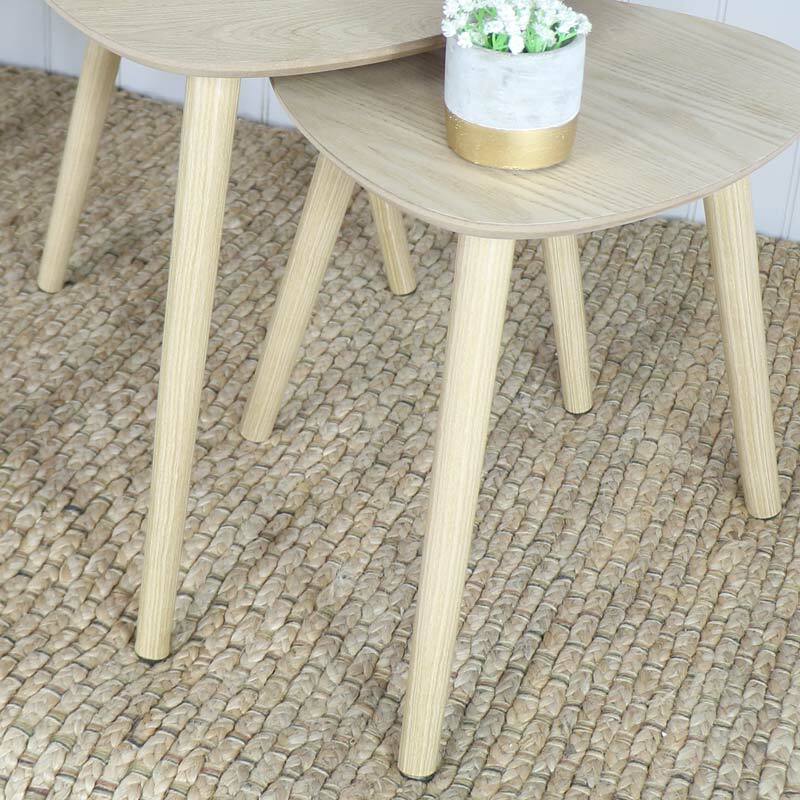 Made from pine wood in a natural look with tripod style legs. 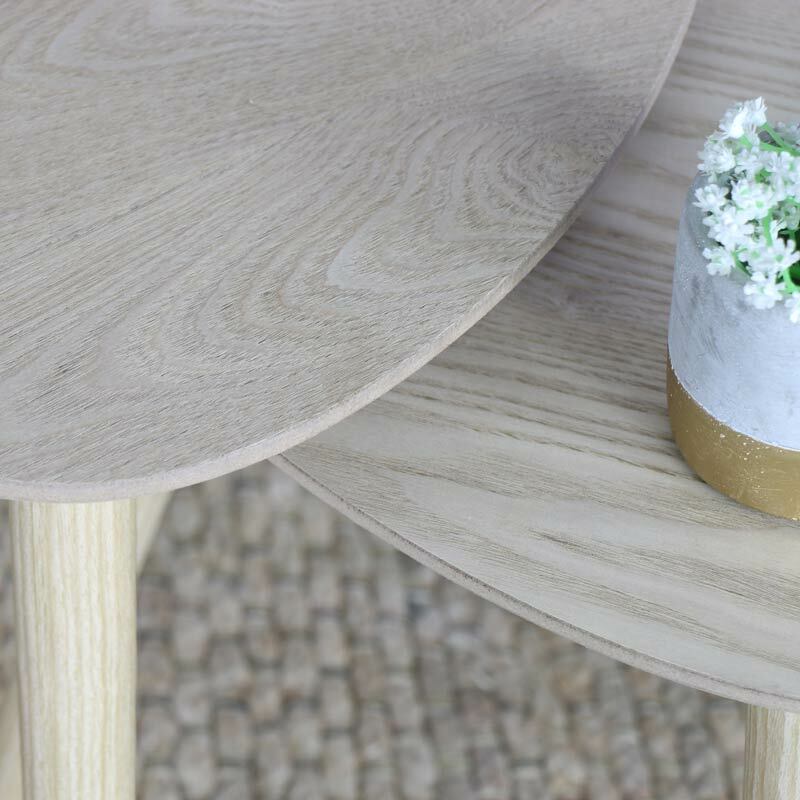 These tables require minimal assembly which involves screwing the legs into the underside of the table top, quick and easy to do.